I first heard of Elite Therapeutics when I received one of their hand creams in a Birchbox. I instantly took a liking to the hand cream, as it reminded me of Aveda's Hand Repair lotion. 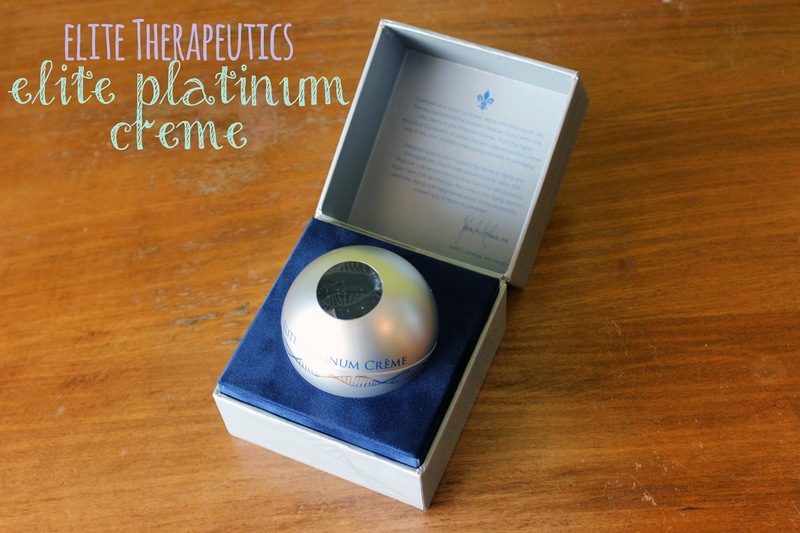 When I was given the opportunity to review the Elite Therapeutics Elite Platinum Creme, I was super excited because of my positive experience in the past. Apple Stem Cell Technology: This nature-plus-science elixir is clinically proven to reduce the size, depth and intensity of wrinkles. Helps protect the longevity of skin stem cells and combat the visible signs of chronological aging. Hyaluronate Acid Cross-Polymer: With five times the water binding capacity of regular hyaluronic acid, this advanced ingredient has a youthful plumping effect that helps reduce the appearance of fine lines and wrinkles. Protein-Peptide Blend: This potent youth-boosting cocktail is specifically formulated to help improve dermal hydration, elastin proliferation and DNA protection, all of which are essential for healthy, radiant skin. Vitamin E (Tocopherols and Tocotrienols): All eight forms of natural Vitamin E are used to neutralize free radicals and protect cell membranes for glowing skin that can maintain a healthy moisture balance. I can say right off the bat, while it may be free of any added fragrance, this cream certainly isn't unscented. It smells very citrusy. If you received the hand cream in a Birchbox, it smells nearly identical... maybe even a tad stronger. If you don't like the smell of citrus on your face, steer clear of this. True, visible results—need we say more? This luxurious, eye and facial crème is designed to help reduce the appearance of fine lines and wrinkles, while boosting skin’s natural elasticity and youthful radiance. Advanced Apple Stem Cell Technology and our patented peptide blend work at the cellular level to deliver deep hydration while encouraging the synthesis of collagen and elastin: naturally occurring proteins that are responsible for restoring the skin to the smoother, softer radiance of youth. The Elite Platinum Creme is extremely rich and super silky soft. It feels very nice on the skin. I've used this for a couple weeks now, nightly before bed after washing my face. A little goes a long way. At first, the scent sticks around and your face will smell like an orange, but the scent disappears shortly after and you're left with plump, mega- hydrated skin. When I wake up in the morning, the cream has sunk in to my skin. My forehead is slightly oily, as is my nose, but those are oily spots for me anyway. Despite the richness of this creme, it has not broken me out. This is a big deal as my skin is very sensitive, especially to many anti-aging products. I haven't noticed any major reduction in wrinkles, but at my age, I am more concerned with prevention than trying to battle major deep wrinkles. Perhaps with prolonged use I will see something, but I'm not holding out for any miracle to happen. The Elite Platinum Creme is really nice. It's super rich, and feels like a dream on the skin. The only negative thing I have to say is the smell can be a bit much, but if you love the smell of citrus, you'll find this creme to die for! This is a PRICEY tub of wonder, retailing at $195 (available at the Elite Therapeutics website). If you can afford to splurge, I'd recommend it. Have you tried anything from Elite Therapeutics? What's your favorite anti-aging cream? The price is so unfortunate. I was lucky to have it sent to me, but the price will ward me off from buying it in the future, too. It's just not affordable. 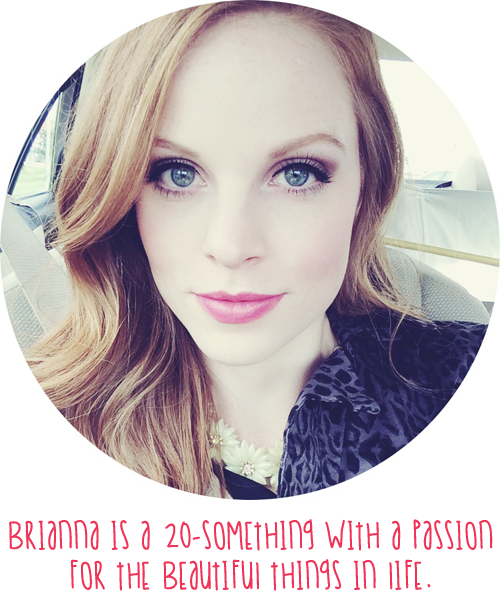 Glazed Over in Radish Magazine!